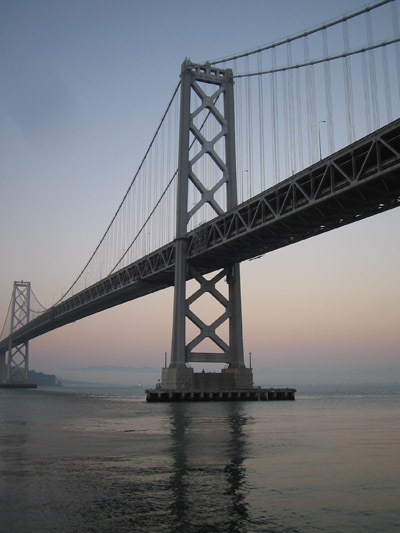 Bay Bridge at Dusk – iDallas! Vida and I took a stroll out on the Embarcadero the other night and I took a few pictures. This one’s my favorite. That’s one heck of an impressive bridge… and a good shot. For someone who makes crap up, that’s dope.